I can identify types of personal information. I know name, address, phone number, picture and school name are personal information. I know what types of information should not be given out on the Internet. 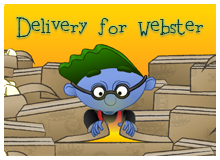 Webster learns an important lesson about pop-ups and personal information. 2. Find a partner to form a pair. 3. Find another pair to form a team. 4. Check out the Discussion Guide! Let's discuss each question with your team. 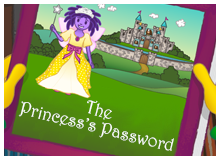 Nettie learns important rules about passwords when her virtual castle is destroyed.